Last night our dogs were disturbed by the sounds of an alley cat. It was a very vocal kitty cat. I ignored the meows for an hour, but then I couldn't sleep because I was worried I was being cruel. I got dressed, grabbed a flash light and walked into the alley in search of the kitty cat. I'm glad I went because I found a little kitten stuck in little tree in our alley next to our back fence. I put on leather gloves and worked really hard to retrieve the terrified and skinny cat with a cut tail and sharp claws. I didn't want to leave the cat in the alley. I couldn't bring the cat inside - we have dogs and many members of my family are severely allergic to cats. The safest place for my starving friend was our front porch. 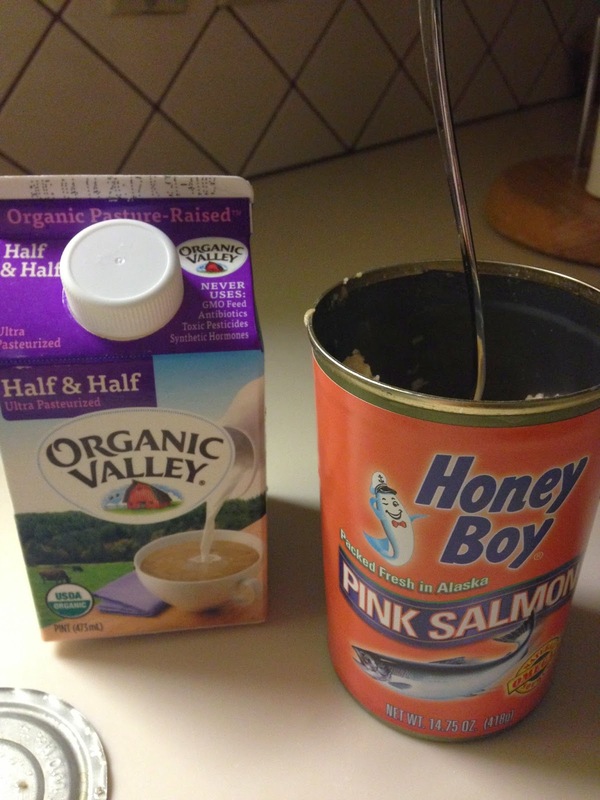 I opened a can of pink salmon, and fed the cat salmon meat and milk. It was making purring sounds as it ate the salmon. I kept hearing my late grandmother's voice in my head: "God love it." as the cat ate and drank with passion. I left the cat outside and went to bed. This morning I haven't found my friend. I just see empty bowls. I was hoping the cat would hang around, and I could get it more help. At least I didn't let a starving kitten go hungry for one night.